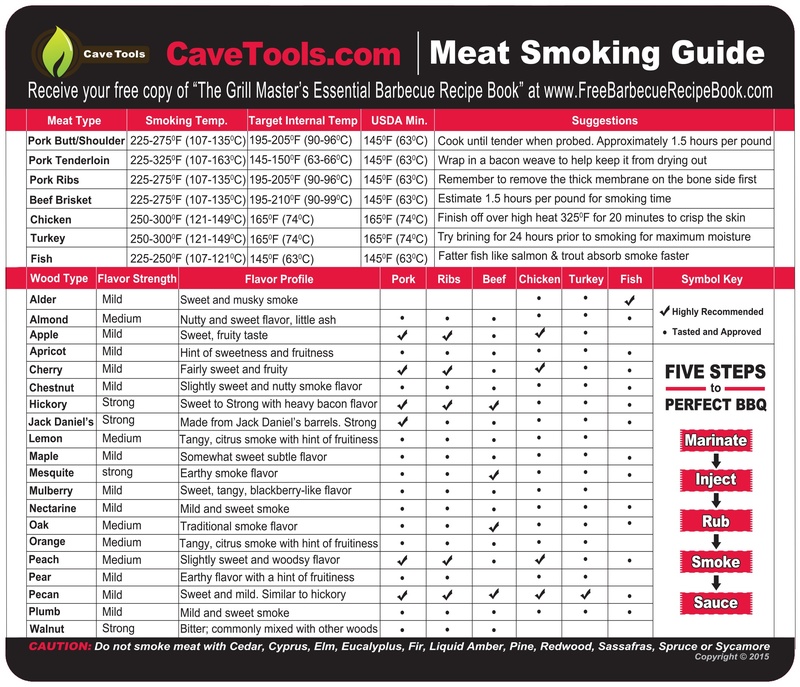 There are almost as many ways to cook an american burger as there are cuts of meat on a cow. A good hamburger is juicy, savory, and flavorful, not to mention versatile. While a simple beef burger cooked with salt and pepper will definitely get the job done (not to mention be delicious), there are plenty of ways to amp up the flavor of your meat patty beyond its normal limits. 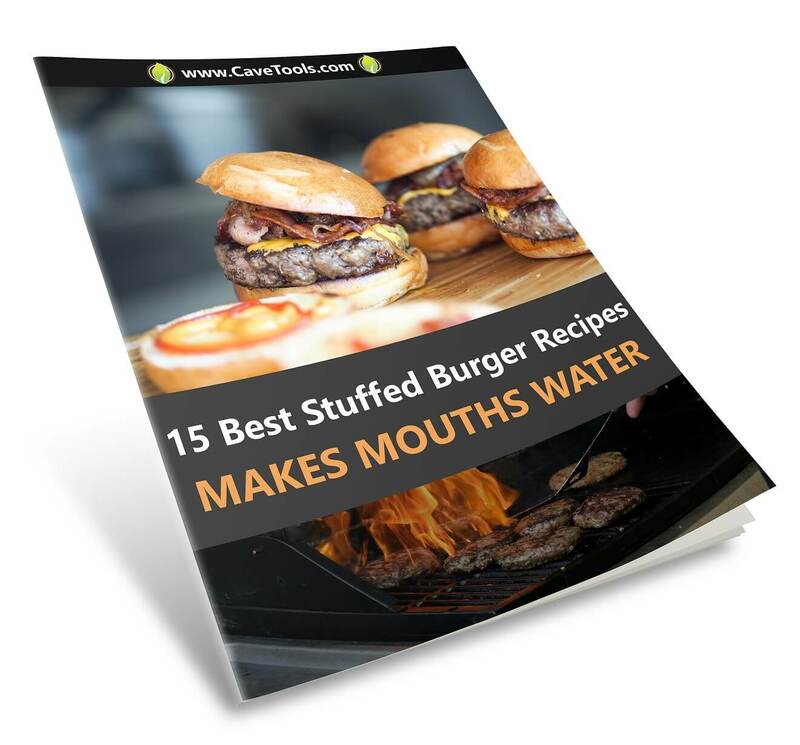 ​So how to make stuffed burgers that will blow the minds of your friends and family? That's where this stuffed beef burger recipe comes into play. 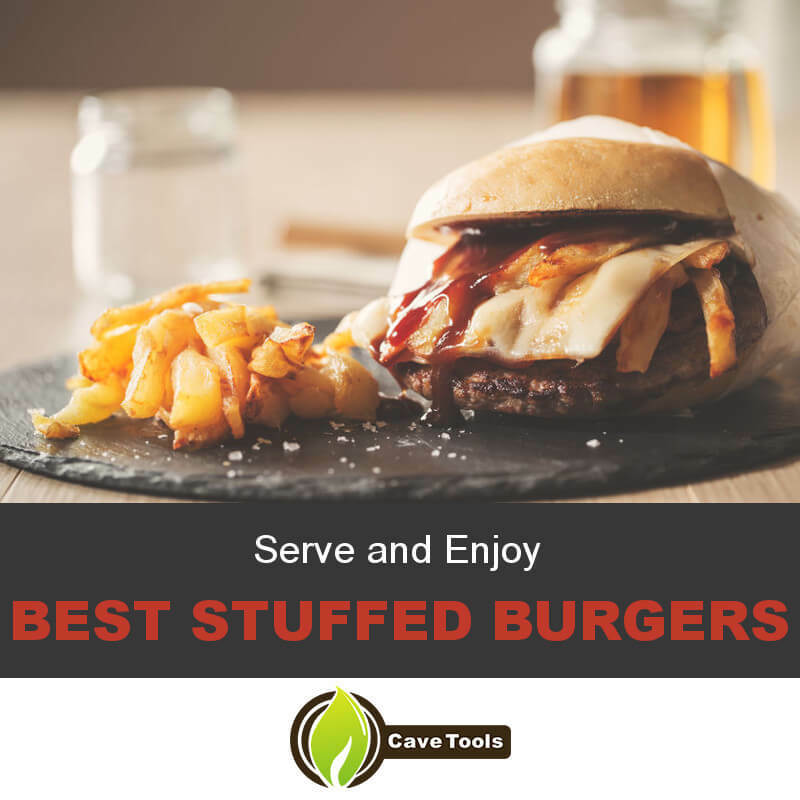 Stuffed burgers are a specialty burger filled with delicious ingredients. 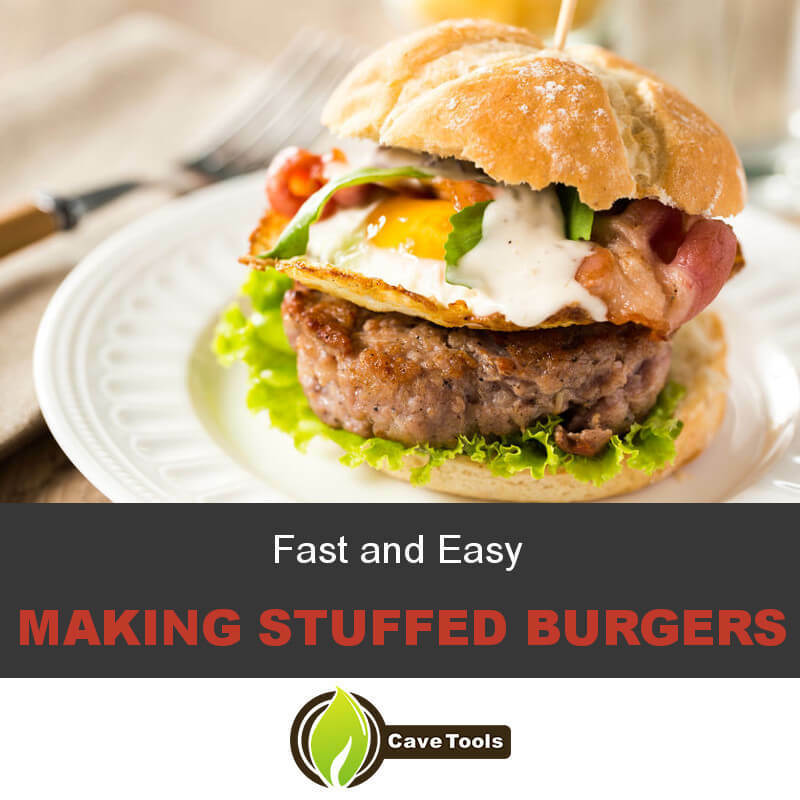 While ​​the stuffed burger recipes might seem complicated - like something only restaurants are cut out to make - it's actually a very simple process to stuff a burger and have it turn out fantastic. You don't even need any novelty cooking devices. How can you successfully stuff a beef burger? What do you need to get started? How will you ever go back to plain burgers after this? All these questions and more will be answered in this guide on how to make cheese-stuffed hamburgers. Chunk charcoal or propane tank. Ground beef (80% lean to 20% fat). Shredded cheddar and low-moisture mozzarella cheese. Burger toppings (ketchup, mustard, lettuce, onions, etc.). Once you've gotten all your ingredients together, you can then begin making your cheese-stuffed burgers. A burger is only as good as the meat it's made from. With a stuffed burger, the only choice is 100% beef, you won't find meat as good as that. For the tastiest burgers, always pick meat with an 80:20 lean to fat ratio, as anything lower on the fat side would dry out quickly and produce a tasteless piece of leather. Ground chuck is always a good idea. Additionally, consider grinding the meat yourself for maximum freshness and taste, though pre-ground beef will work fine. While different beef recipes call for different additives to burger meat, simple is usually better. With that in mind, do not mix in any additional ingredients to your ground meat. All they'll need is a coating of salt and black pepper after they're formed to help bring out even more of the natural beefy goodness. If you have a preferred beef burger recipe, though, feel free to use it, as there's no such thing as too much flavor. A stuffed burger isn't much without the stuffing; that would just be a hollow meat patty. For a cheese-stuffed burger, you can use pre-shredded cheese if you like, but grating it yourself usually ends up with a better product. This is because the shredded cheese in bags is coated with an anti-clumping chemical that makes it melt less easily, and melting is the name of the game when it comes to stuffed burgers. Additionally, if you want to use different cheeses than the ones listed above, try to pair a strong tasting cheese like cheddar with a good melting cheese like mozzarella. This is because using only one over the other could result in a lumpy or less flavorful cheese stuffing, respectively. Striking the right balance of flavors and textures is key. If you want to, you could also add other ingredients to your filling so long as you're careful not to over stuff your burgers. If you do, though, make sure to cook any meats like bacon or water-heavy foods like mushrooms prior to stuffing them, as neither will cook properly if added into a burger while raw. The trick to stuffed burgers is forming the patties right. When stuffing a burger, you'll actually need two patties for each which you'll layer on top of each other with your fillings in the center. Both of these patties should be rounded and slightly larger in diameter than the buns you intend to put them on, flattened out to about 1/4 of an inch thick with a lip around the edge (think of it like crust on a pizza). 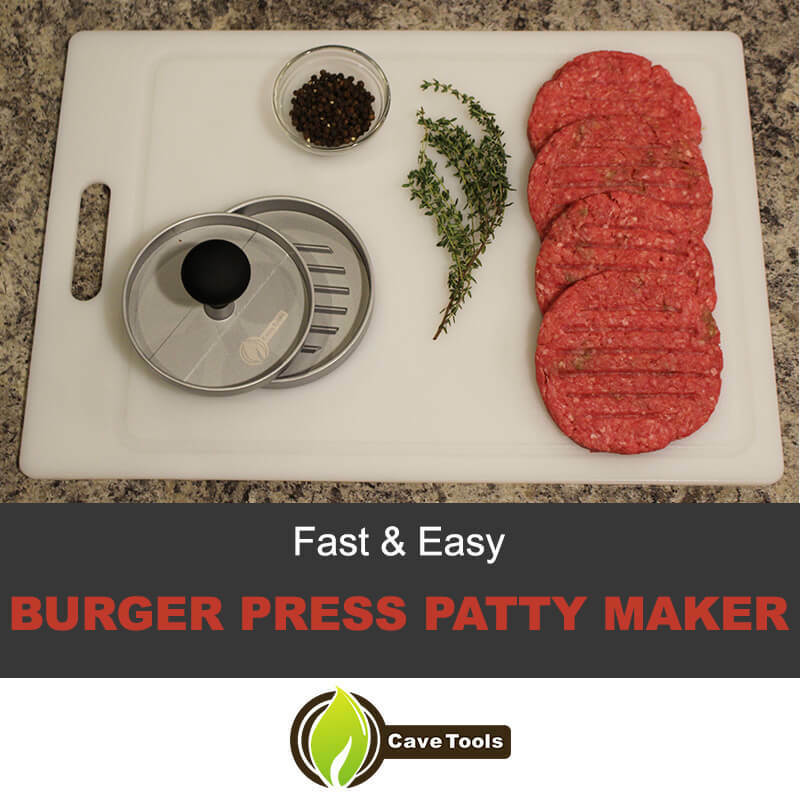 One of the best ways to make the perfect patty is to use Cave Tools’ Burger Press Patty Maker. Form your patties in pairs on a large work surface, filling one of a set of two with a couple tablespoons of shredded cheese. To prevent meat from sticking to your hands, try wetting them in a bit of water before you go to form each patty. When half your patties are filled, take the other half and carefully place them on top of the filled ones, matching the edges as best you can. It can help to use a spatula to quickly scoop up a patty and flip it over when doing this. When the patties have been positioned right, use your fingers to gently squeeze the seems together until the patties have completely formed into one. Do this for every set of patties until all your burgers are sealed shut, being careful not to leave any gaps whatsoever to avoid a blow out. 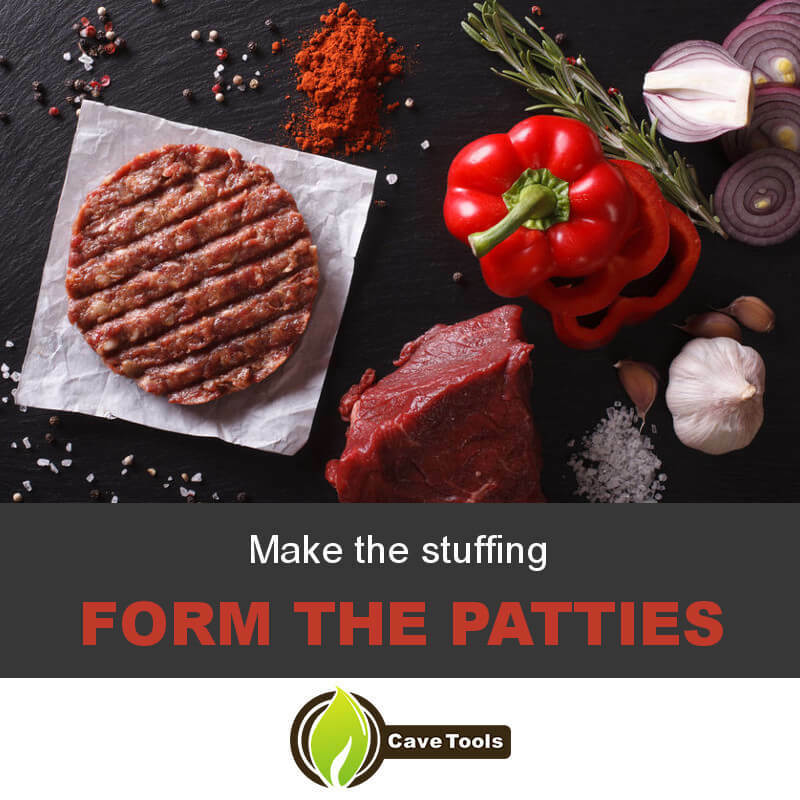 Place the finished patties onto a plate or sheet pan and chill in the fridge for 15 minutes to let them firm up slightly. 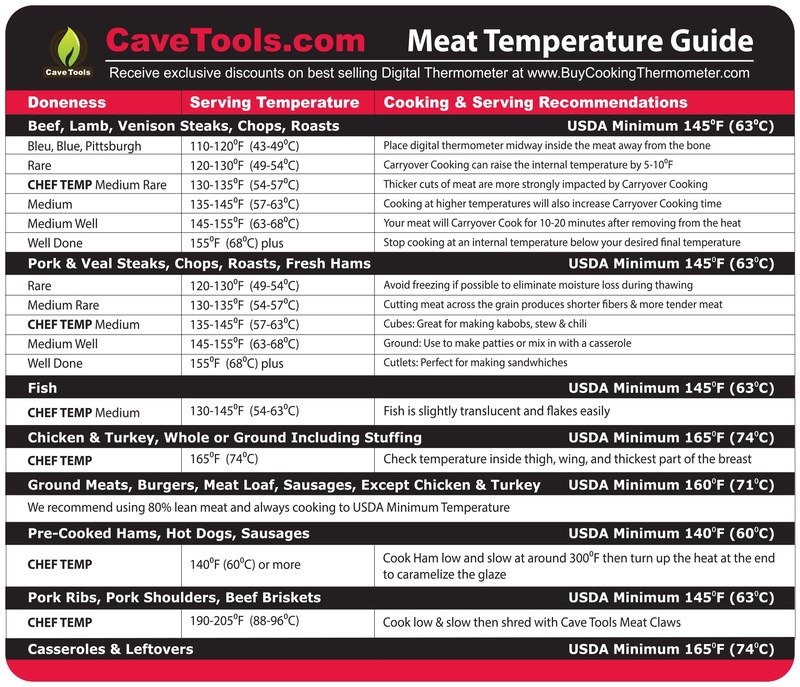 Unlike other meats, it's actually better to cook most burgers when they're on the colder side. This is especially true for stuffed burgers, where structure is the only thing standing between a delicious meal and a terrible mess. 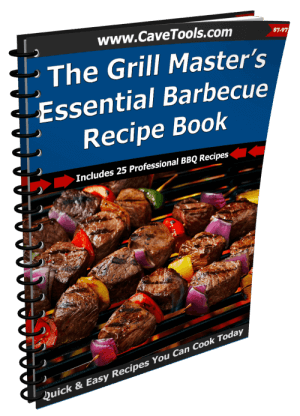 Season both sides of your beef burgers with salt and black pepper, then press a divot into the centers and get ready to grill. Place the burgers over direct heat and do not move them. Stuffed burgers are likely to be more fragile than normal burgers, so excessively flipping or moving them around increases the likelihood that they're fall apart at some point. It also interferes with their ability to develop a thick crust and good grill marks. When the edges of the patties begin to brown, flip them only once and leave them be. You can also toast your buns at this stage, buttering or oiling both sides and placing them on low heat to medium heat for 30 seconds on both the tops and bottoms. After a few more minutes, you can begin checking your burger for doneness. Insert the thermometer into the side while trying to avoid the filling. Burgers are suggested to be cooked to an internal temperature of 165 degrees Fahrenheit, which is likely a good idea when it comes to stuffed burgers that contain filling exposed to raw meat. Cook burgers like these underdone at your own risk. 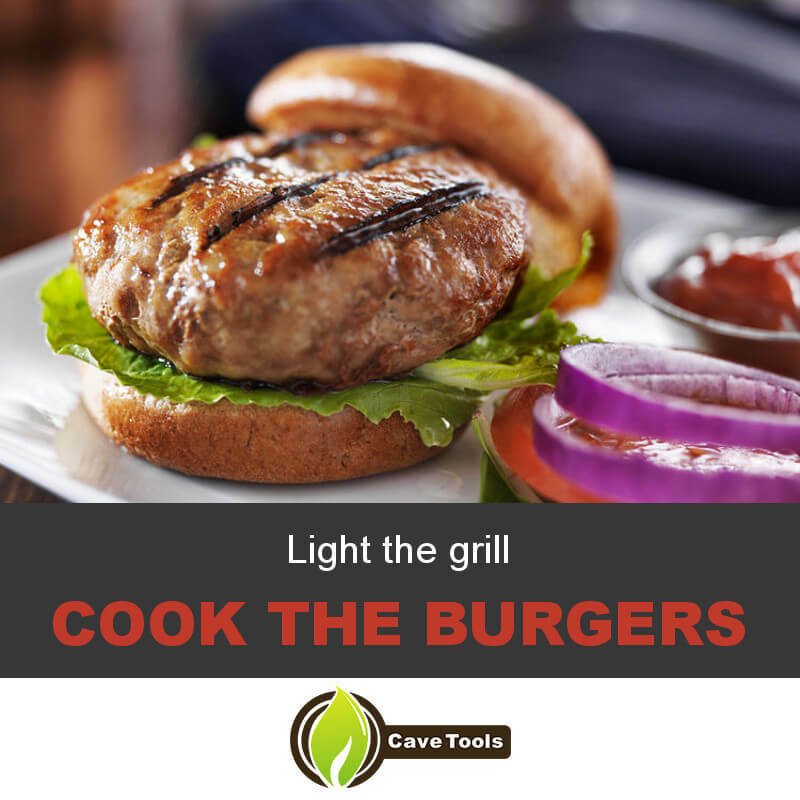 Ideally, take your burgers off at around 160 degrees Fahrenheit, as they will continue to cook for a short time after being removed from the heat. When they've cooked fully, place them onto a clean plate or platter and tent them loosely with aluminum foil for a few minutes. Resting is extra important when it comes to burgers as it helps them to retain much of the juice they'd otherwise loose due to being more well done than most beef products. Additionally, in the case of a burger stuffed with cheese, it allows the filling to cool down a bit so you don't burn the inside of your mouth on your first bite. After your burgers have had a chance to finish cooking and rest, it's​ time to eat. Place them each onto a toasted bun and pile them high with whatever your favorite toppings might be. Add a bit of pepper jack cheese, swiss cheese or blue cheese, caramelized onions and some veggies and your meal is ready. Then take a bite and watch the magic as melty, delicious cheese comes pouring out. Stuffed burgers, despite how they might first appear, are fairly easy to make with a little practice. 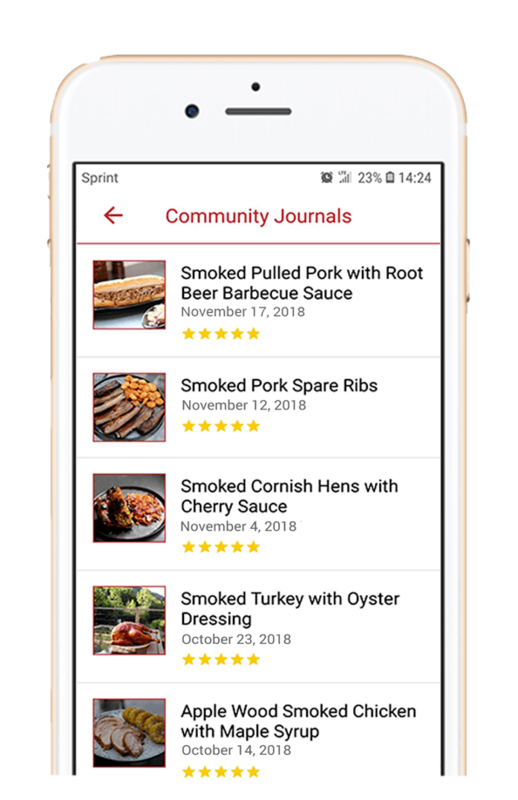 You'll discover that special tools or pricey restaurant visits won't be necessary, as you've got everything you could possibly need right in your kitchen. As long as you know what you're doing, you can enjoy a delicious burger stuffed with whatever you like from the comfort of your own home whenever you want. 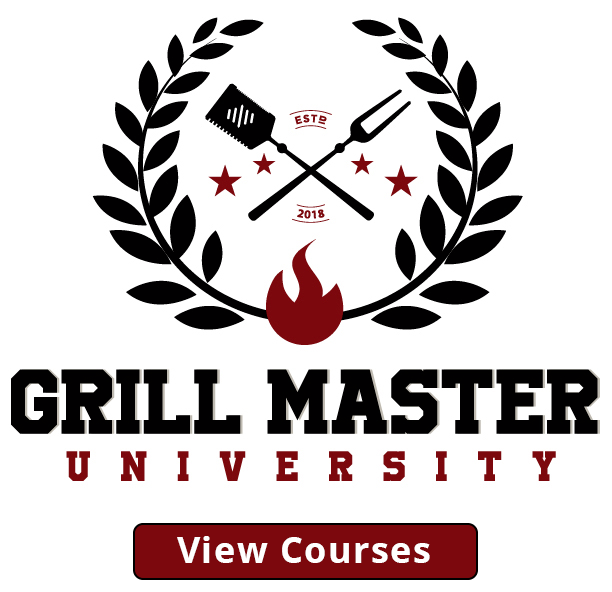 If you liked this guide, leave a comment about it down below and share any tips you might have on grilling or stuffing burgers you might have found over the years. And don't forget to show this page to a friend who hasn't yet tried making a stuffed burger before. What Can You Stuff In a Beef Burger? You can get very creative with stuffing burgers! Burgers can be stuffed with everything from cheese to vegetables to other meats. Some popular stuffings include feta cheese, cream cheese, jalapeños, ham, cheddar cheese, ​pepper jack cheese, swiss cheese or blue cheese, caramelized onions and bacon bits.. As a general rule of thumb, the stuffed ingredients should all be pre-cooked, so using raw meats is not recommended. How Long Do You Cook a Stuffed Burger? Stuffed burgers generally don’t take that much longer to cook than regular burgers. This is because the ingredients inside are all pre-cooked and only needed to be heated through. A stuffed burger should take approximately 4 minutes a side over medium-high heat. How Do You Make Hamburger Patties Stick Together? To make the beef burger patties stick together for a stuffed burger, you can use a burger press. This will make it much easier to make sure the filling is completely inside the meat and the edges will firmly stick together. You can also press the patties firmly together with your fingers if you don’t have a press. Do You Need to Be Careful When Flipping Stuffed Burgers? Stuffed burgers are more fragile than hamburger patties, so you should take care when flipping them. You can use a regular spatula but be careful not to pierce the bottom as you slide the spatula under the patty over a hot grill. Then, gently flip the burger instead of throwing it down. Should You Use an Egg When Making Stuffed Burgers? You do not need to use an egg to the meat to make stuffed burgers, although the egg will act as a binder. You can either use regular beef patties or you can add one egg to the beef burger mix. This will help the burgers hold together as you flip them on the grill.